Are you ready for inspiration and plenty of eye candy? 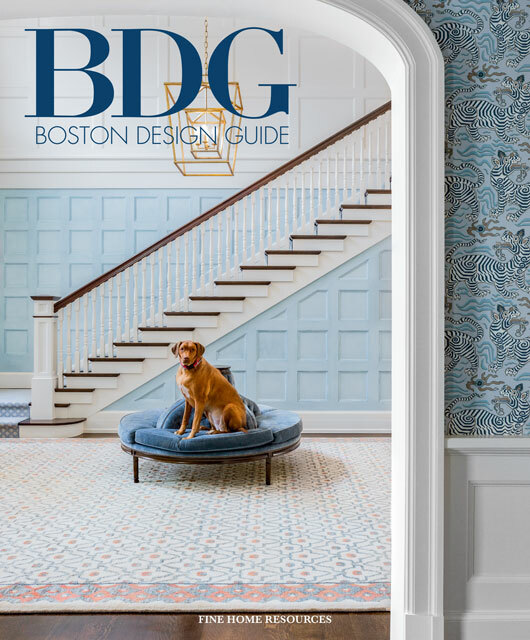 BDG's 22nd edition has just been released and it is chock full of beautiful designs and bold visions for the home, as well as the work and talents of New England’s most sought-after tradespeople and industry pros. 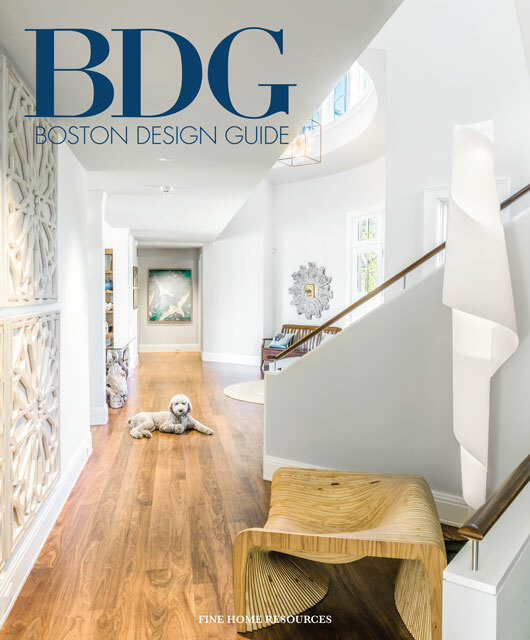 Get your home projects and wish lists handy, because when you’re ready to build, renovate, enhance or personalize your home or living spaces, you’ll want the latest copy in your hands. 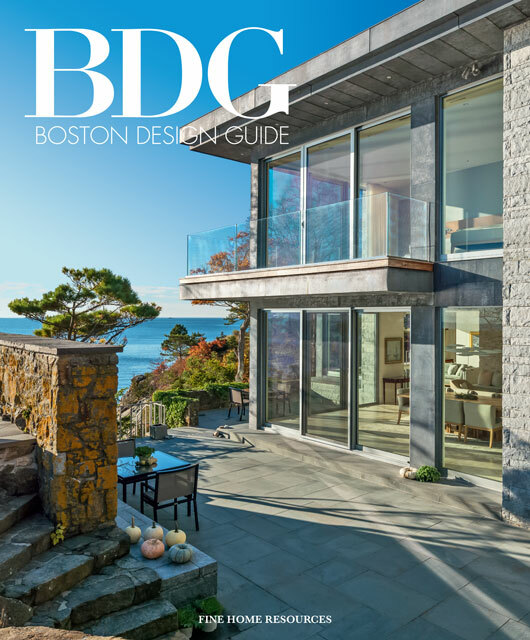 BDG has been a trusted (and the longest-running!) home resource in New England for 22 years. Catch a glimpse of the striking projects and photography featured on our covers. 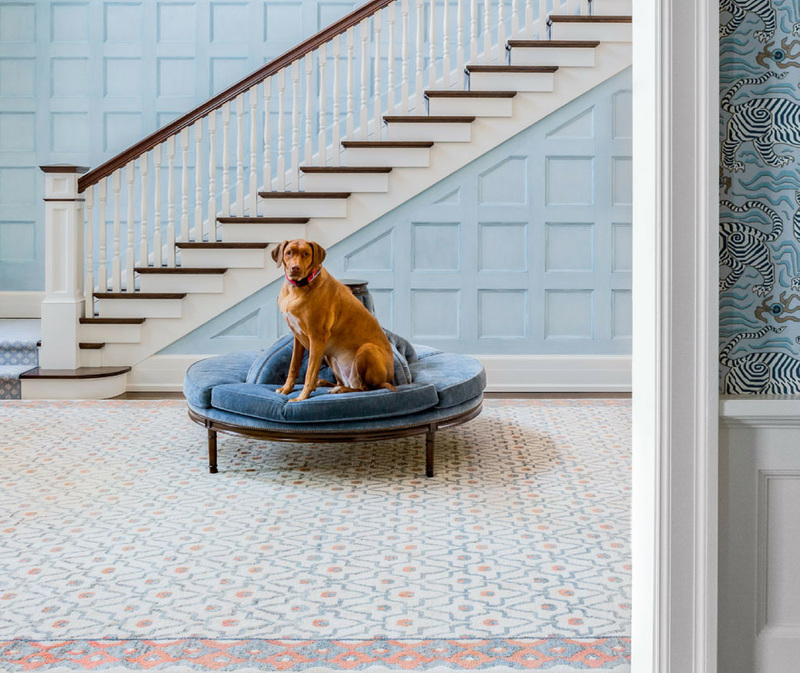 After all, 2018 is the Year of the Dog (no joke!). As for the features? 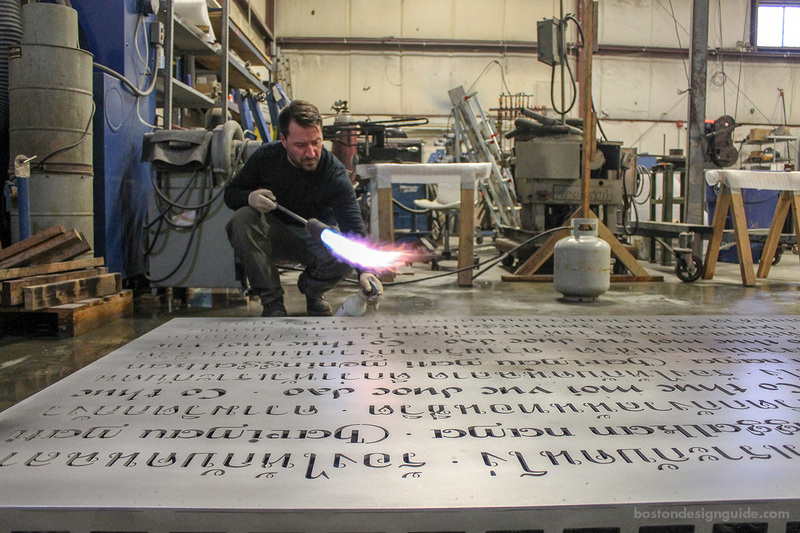 (Cue drumroll.) 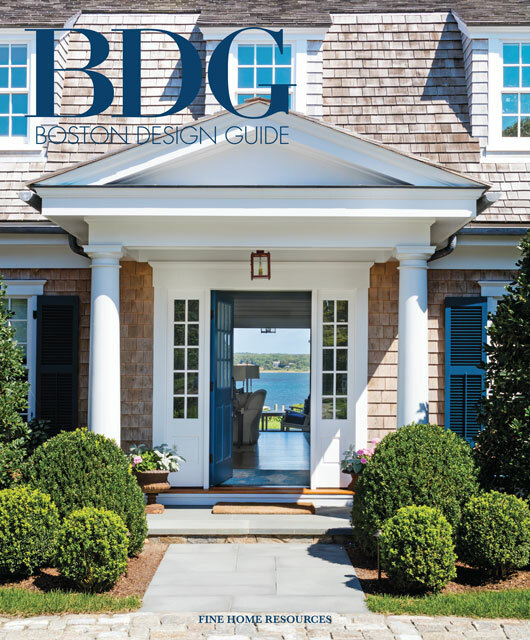 Readers are invited to see the softer side of a magnificent modern home on the coast of Manchester-by-the-Sea (pictured below) and hear from architect Adolfo Perez about its aesthetic. 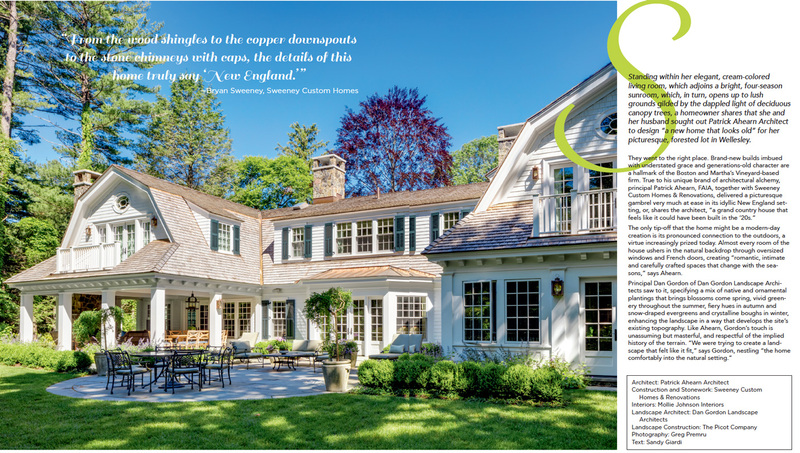 They can also spend some time in the leafy, luxurious digs of a timeless Wellesley gambrel (below), imagined by Patrick Ahearn Architect and built by Sweeney Custom Homes & Renovations. 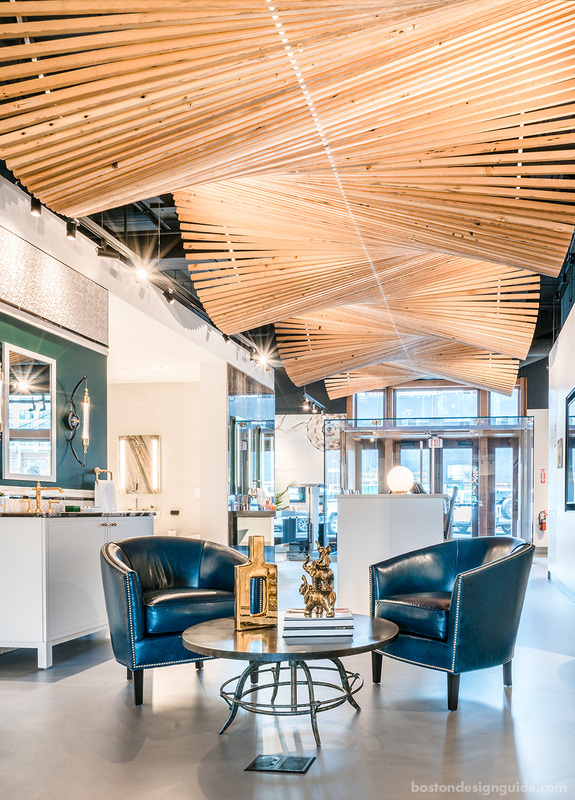 ...and sustainable artist Jeff Soderbergh, who conceived the ceiling sculpture The Kohler Wave from the reclaimed wood of an 1800s Boston harbor pier for Supply New England's flagship showroom project with Kohler at 7 Tide in Boston’s Seaport District. 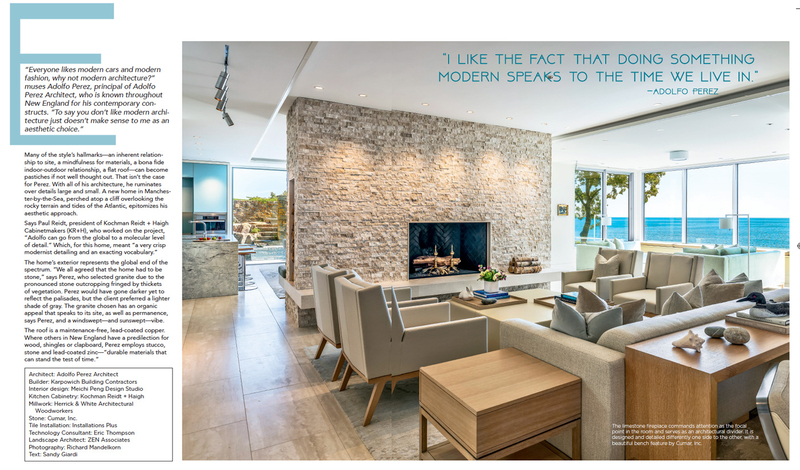 And that's just a taste of the many custom possibilities and design ideas for the home that await in the resource's 270+ pages. Enjoy!